Please, use the make contact with information supplied at each and every pool profile. Not all countries are the very same, and swimming regulations and rules are changing from one country to a different. Please check the nearest Outdoor Pools in Wales or Contact us to ADD IT. It's free! Traveling to Wales? This can be the appropriate spot on the web to find places to swim in Wales. Each day you are not swimming you're losing precious time to boost your expertise a be a better swimmer! No more excuses!. Looking for Swimming Pools? Several of them belong to gyms or sport centres which also supply lessons. 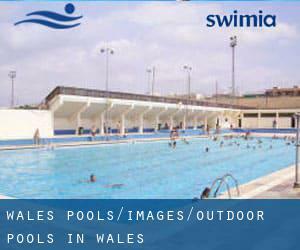 Thanks to some new Outdoor Pools in Wales submitted on a daily basis, Swimia.com is escalating everyday the number of stored pools. Please don't hesitate to contact us for those who uncover any inaccurate or incomplete information. Without a shadow of a doubt, swimming in Newport may be the most beneficial technique to unwind right after work. Take a couple of minutes to browse Swimia's catalog to find a Pool in Newport. Swimming is a great thought to help keep your body active for the duration of your visit to Cardiff (Wales), or even in case you are a local. 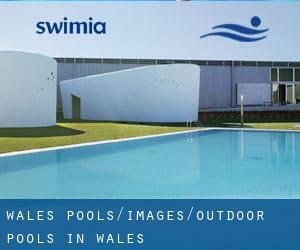 Swimia helps you to find your closest Swimming Pool in Cardiff. 1 Thames Valley Park Drive , Thames Valley Business Park , Reading , England , UNITED KINGDOM (Postal Code: RG 6 1AD). Swimmers like you reported 25 meters x 10 meters, Indoor/Outdoor. Unfortunately we do not have the email address of this Swimming Pool, but we can give you the phone number. East Acton Lane , Acton , London - West , England , UNITED KINGDOM (Postal Code: W 3 7HB). This sports centre offers 25 meters x 11 meters, 6 lanes, Outdoors. Contact details for this Swimming Pool including phone number and e-mail address are number. 32 Endell St. , Bloomsbury , London - Central , England , UNITED KINGDOM (Postal Code: WC2H 9AG). This great and large sports centre lets professional swimmers like you enjoy 27.5 meters x 9.8 meters, 3 lanes, 0.9 meters - 3.5 meters depth, 0.9 meters - 3.5 meters depth, Outdoors. Additionally, within these facilities you can try 25 meters x 8 meters, 3 lanes, 1 meters - 2 meters depth, 1 meters - 2 meters depth, Indoors. Unfortunately we do not have the email address of this Pool, but we can give you the phone number. London Fields Westside , Hackney , London - East , England , UNITED KINGDOM (Postal Code: E 8 3EU). This sports centre gives Olympic size x 17 meters, 8 lanes, 1 meters - 2 meters depth, 1 meters - 2 meters depth, Outdoors. For this Swimming Pool, only phone number is number here. Oakfield Place , Clifton , Bristol , England , UNITED KINGDOM (Postal Code: BS 8 2BJ). This sports centre gives 25 yards, Outdoors. Contact information for this Pool including phone number and email address are number. 269c Woodstock Road , North Oxford , Oxford , England , UNITED KINGDOM (Postal Code: OX2 7NZ). Few days ago a standard user of this centre told us they offer 25 meters x 8 meters, 3 lanes, 1.5 meters uniform depth, 1.5 meters uniform depth, Indoors. Furthermore, they keep in good conditions 20 meters x 8, Outdoors. For this Swimming Pool, only phone number is number here. 161 Banks Rd , Sandbanks , Poole , England , UNITED KINGDOM (Postal Code: BH13 7QL). Among all the activities offered by the centre, if you are considering swimming you are going to take pleasure in 17.5 meters x 6.5 meters, 1.1 meters - 2.2 meters depth, 1.1 meters - 2.2 meters depth, Outdoors. Just in case you desire to contact this Swimming Pool just before dropping by, we only know the phone number. Vale Park , Park Street , Aylesbury , England , UNITED KINGDOM (Postal Code: HP20 1DX). This great and large sports centre lets professional swimmers like you enjoy 25 meters, 8 lanes, Indoors. Additionally, within these facilities you can try 20 meters, 4 lanes, Outdoors. Phone number and email address are number for this Swimming Pool. 242 Christchurch Road , Ringwood , England , UNITED KINGDOM (Postal Code: BH24 3AS). This sports centre offers 25 meters, Indoor/Outdoor. For this Swimming Pool, only phone number is number here. High St. , Hampton , London - West , England , UNITED KINGDOM (Postal Code: TW12 2ST). This sports centre delivers 36 meters x 14 meters, 6 lanes, Outdoors. Contact details for this Swimming Pool such as phone number and email address are number. Drayton High Road , Hellesdon , Norwich , England , UNITED KINGDOM (Postal Code: NR6 5DU). Swimmers like you have reported 25 meters x 18 meters, 3 lanes, Indoors. Also, you will find 20 meters x 8 meters, Outdoors. Just in case you desire to contact this Swimming Pool just before dropping by, we only know the phone number.